I made a quick update for this on my lunch break that I like quite a bit better than the previous iteration. I tried using a number of different environment maps yesterday, but none of them looked very good. Then I found this one of a wintery forest and I think it turned out pretty good. 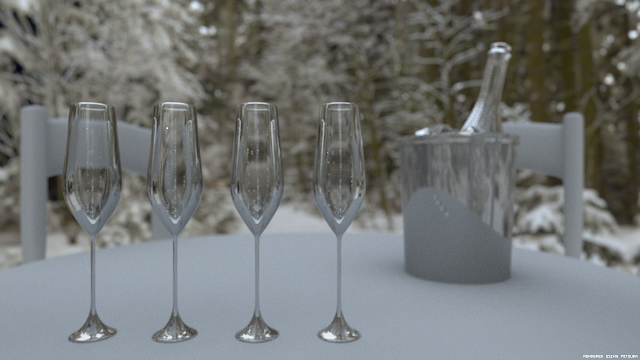 I also have a much better dof effect than the previous iteration. Now I need to make the actual champagne. Right now it looks like the bubbles are water droplets on the outside of the glass.